Motorola will reveal their new smartphone soon which is Moto G third generation. 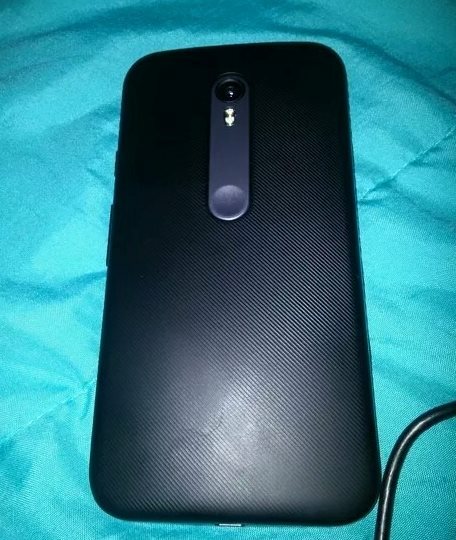 Among other things, we now get the new confirmed back, which now has a long silver stripes from camera to Motorola logo through photos. We also see the LED flash on the back, which has increased obviously. This fits to notice better cameras to deliver in 2015, which made ​​Motorola a few days ago. To be precise this phone has Lenovo's touch to it in design department. A date has not yet announced Motorola for the presentation of new Android smartphones the Moto series, surely we will get the new devices already in July or presented no later than August. Are expecting a new Moto G and also a new Moto X. I'm really fired up for new Moto devices. 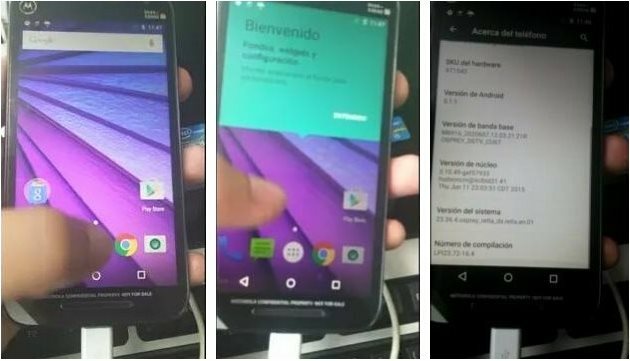 Now thanks to a new video that has surfaced, it shows the alleged handset caught on video. For the most part it looks like the design of the phone hasn’t changed much, save for the back portion of the phone which shows off some kind of textured surface, but like we said for the most part the phone seems to be relatively unchanged. As for specs, the CPU-Z and AnTuTu benchmarks reveals that the phone will be powered by a 64-bit quad-core processor courtesy of the Qualcomm Snapdragon 410. It will come with 1GB of RAM on board and an Adreno 306 GPU. As for the display, it will sport a 4.97-inch display with a 720p HD resolution. This is more or less similar to last year’s model which also packed a 5-inch 720p HD display. Granted we would have preferred if it came with a Full HD display but we suppose keeping it at 720p helps with battery life and cost. The phone is also expected to pack a 13MP rear-facing camera, a 5MP front-facing camera, and will support 4G LTE with Android 5.1.1 Lollipop out of the box.